A client since 2016, Baker Hill has worked with TBH Creative on everything from website design to a complete company rebranding initiative. 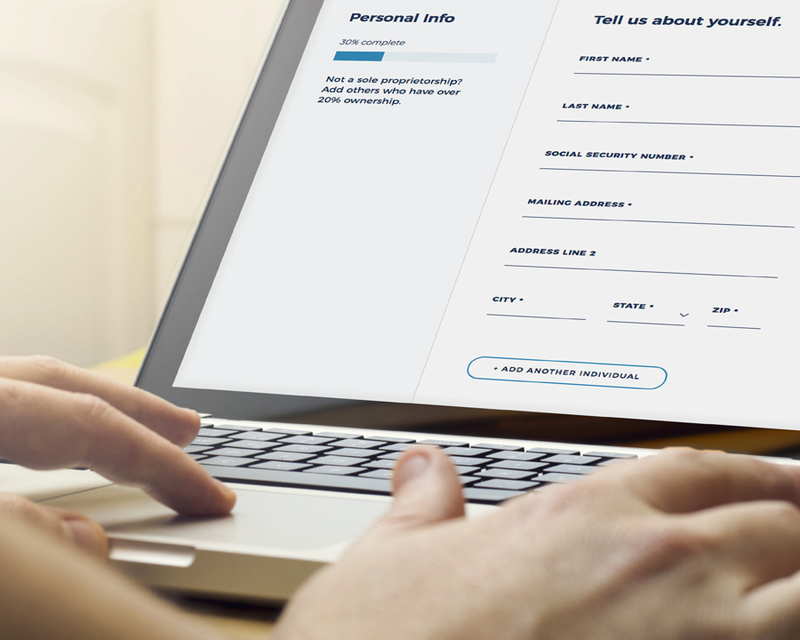 When reworking Baker Hill’s online loan application, TBH Creative followed user experience best practices and designed a flexible, modern application that’s easy to customize and quick to fill out. TBH Creative chatted via email about the project with Deidra Colvin, Baker Hill’s chief marketing officer; Rusty Garner, Baker Hill’s lead developer; and TBH Creative project lead Tatum Hindman. Their responses—below—have been condensed and edited. Tatum Hindman: Baker Hill’s in-house developers created the original application, and we collaborated with their team—working around existing application code cautiously and maintaining the underlying logic and database—to completely overhaul the front-end, making practical improvements in the app’s design and messaging. 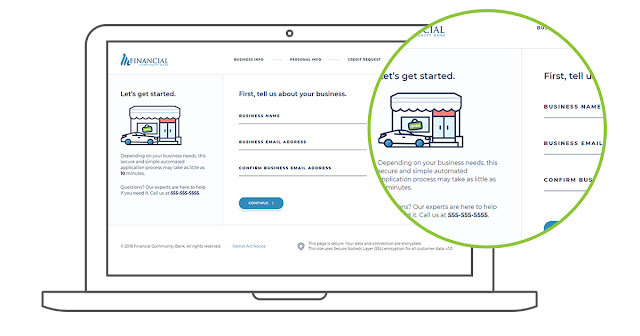 TBH Creative’s designer created custom icons to add visual appeal and help guide users through the loan application process. Tatum Hindman: Baker Hill gave us complete creative control to make strategic design and organization recommendations to improve the web form user experience. The resulting solution is radically different from the starting point. The improvements we made strengthen Baker Hill’s small bank software solution offerings, and indirectly enhances their strategic partnerships. Deidra Colvin: We were very pleased with TBH Creative’s work and have gotten good feedback from clients on how much better it looks and on the user experience. What did TBH do to meet the goals of this software ux redesign? Tatum Hindman: We focused on the application’s end-user—small business owners applying for loans—and their needs: What do business owners need? What information do they have? What would make the loan application process less painful for them? 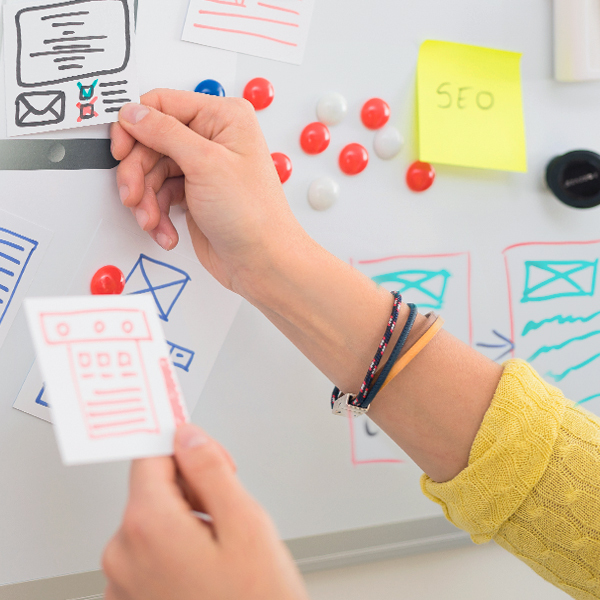 Based on our research of similar applications, we mapped out a new process flow to significantly enhance the software UX while still giving banks the information they need to process the loan applications. When we delivered the product back to Baker Hill, it only needed a few final tweaks after their first review, and the finished application required very minimal time to implement on the client side. Less is more. Baker Hill’s new application only includes required info to speed up completion. Primary fields are also organized from top to bottom in a single column design to create a cleaner look that makes it easier for users to fill out quickly, whether they’re on a desktop computer or mobile device. Rusty Garner: We have had lots of demos, and people are really liking the new look and feel that TBH Creative designed. Tatum Hindman: We equipped Baker Hill with a fully-functional demonstration package to use in their sales meetings. The demo allows them to show prospective customers the application and how the solution could look when customized around their needs. We are excited for phase two of this UI/UX project, which is slated to include adding a portal product for loan applicants to use to log in and see the status of their loan in real-time. Along with this improvement, we will integrate a username/password system to make it easy for applicants to come back later.